Many of us will know someone who had a pretty awful experience post maternity leave. While we’d like to think such instances are few and far between, a recent report into maternity discrimination from the Women and Equalities Committee painted a grim picture indicating that things are worse now than a decade ago. In my job I repeatedly hear very similar stories from women who find themselves subject to such discrimination. And it can take many guises – a maternity cover being made permanent and the returner finding themselves pushed out, a decision not to promote because of perceived ‘home’ responsibilities, or redundancy just as the new mum returns to work. Even though there is a raft of legal protection for pregnant women and mothers returning to work in the UK, the sad fact is that discrimination is on the rise. And this comes despite many companies having policies promoting a family-friendly workplace. The best companies will have started a dialogue with a returner before they head back to the office. Ideally, you’ll have met your line manager and come back armed with clear objectives of what is expected in your first 100 days as well as a good overview of what’s happened while you were away. Once you have returned to work you should also have regular catch-ups with your line manager, this helps to nip any concerns in the bud. 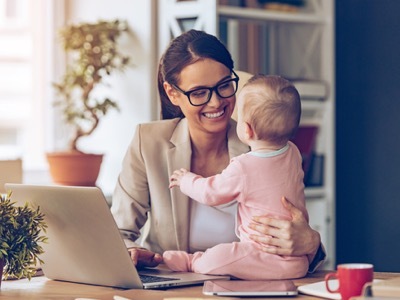 Many large companies will have HR teams and specialist advisers who will advise the employer on issues concerning women on maternity leave or returning to work. Often, they will be the first point of contact for women experiencing problems. But what if your complaint is falling on deaf ears? Can you tackle discrimination and retain your role? The short answer is yes. In the first instance, speak to your manager. Sometimes, just flagging a problem and talking it through can be the difference between rectifying or escalating a problem. But if the problem continues and it starts impacting your ability to meet targets, complete work, charge billable hours or build new client relationships, then you should start keeping a note of the activity, its impact upon you and the names of any people involved, either directly or as witnesses. If the treatment persists, you should speak to HR and explore ways of resolving the issue. HR may facilitate a meeting between you and your manager to try and resolve any problems. At the same time, you can also speak to ACAS, which exists to give free impartial advice to you as an employee (and also to employers), and they will offer tips on steps towards conciliation with your employer. However, it’s important to remember that ACAS officers are not legally qualified. As such, they will not be able to give you advice on what legal claims you may have or what they might be worth. If you feel that your employer is not addressing your concerns or treating them with the sensitivity they deserve you can raise a grievance. A grievance is a written complaint. Your employer may have a grievance procedure which sets out guidance on the grievance process. It’s advisable to familiarise yourself with the company’s grievance procedure and ensure you comply with it. It’s crucial to prepare a well thought out grievance letter – as this can often mean the difference between a quick resolution and the relationship breaking down. A solicitor can advise on the best way to phrase your letter as well as advise on the best strategies for going into any meeting that follows. Diaries of events, details and witnesses will be critical at this stage as they offer evidence to support your grievance. Given the formality of the procedure, you will receive a written response and likely be invited to a meeting to formally discuss the issue. You have a legal right to be accompanied at your grievance meeting. Unless your contract says otherwise, you are limited in who you can take to the meeting with you. It must be a union representative or a colleague. Companies generally don’t want to end up at an employment tribunal, and neither do employees, so it is in the interest of both parties to try and reach a resolution at the grievance stage and move forward. Sometimes this doesn’t happen and the employee can find herself dismissed or feeling she has no option but to resign. It’s important to take legal advice before you make any such decision as your resignation should be managed carefully to ensure your legal rights are protected. 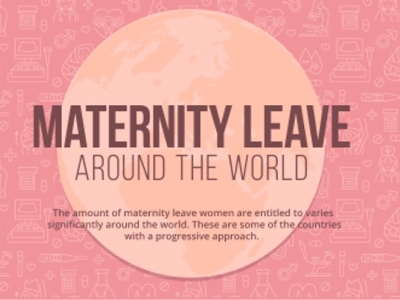 You are entitled to receive your usual contractual benefits (expect salary) whilst on maternity leave. This includes gym membership, health insurance etc. You also continue to accrue annual leave as if you were still at work. 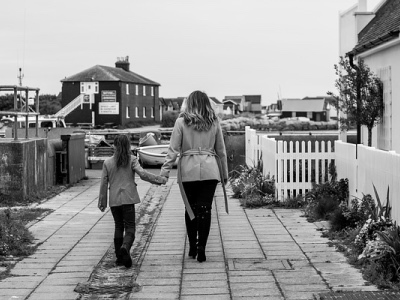 In terms of your right to return to your role, this depends whether you return during ordinary maternity leave (OML) – this is the first 26 weeks of your maternity leave, or additional maternity leave (AML) – the period that follows after OML up to 52 weeks’. During OML you have the right to return to the exact same job, on the same terms and conditions or terms and conditions which are no less favourable. You should benefit from any improvements to your terms and conditions as if you had not been away. This will include being awarded a pay rise in line with your colleagues. You may have a claim for unfair dismissal and/or maternity discrimination if you are not allowed to return to your old job. If you return during or after a period of AML, you are generally entitled to return to the same job as long as it is reasonably practicable for the employer to allow you to do so. However, if your employer can show that it is not reasonably practicable for you to return to the same job, you must be offered a suitable alternative job on similar terms and conditions. If your maternity cover is given your role and you are offered an alternative job, this is most likely to give rise to legal claims for unfair dismissal and/or maternity discrimination. But, if you are offered a different job or are suddenly not working with your existing clients, you should obtain legal advice. You may also have a claim for discrimination if you were not consulted about changes to your job that were made because of redundancy or a reorganisation, or if changes to your job were made because you were absent on maternity leave. 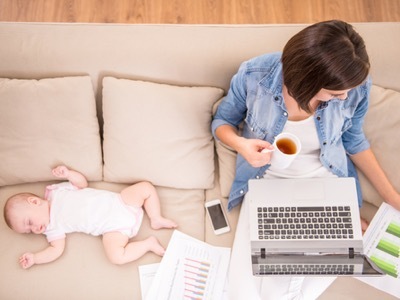 If a redundancy takes effect during your maternity leave, you are entitled to be offered any suitable alternative vacancy over other employees who are at risk of redundancy. This is a rare example of positive discrimination within UK employment law.